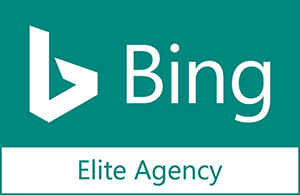 As Head of Paid Search, you will be primarily responsible and accountable for the profitable growth of the Paid Search service across the agency, while aligning the service with company priorities. You will oversee numerous Paid Search teams by leading front-line managers. Lead and execute thoughtful resource, revenue/target and profitability planning. Serve as a key point of contact for Paid Search related platform partners (i.e., Google & Bing). Work with the Director of Paid Media and Director of Client Services to develop and successfully roll out new/updated packaging, pricing and/or service offerings. Drive competitive positioning and messaging of Paid Search Services. Develop, manage and educate teams on ideal client fit. Work with Marketing and Sales to improve prospect to client conversions and client retention. Spearhead use of best practices from other services/across services to drive success of service. Drive key process development and implementation across the service to drive results. Understand the market and VOC (voice of customer) through market analysis (client feedback, 3rd party research, technology trends and competitive analysis) to drive adjustments to the service. Serve as the Technology point of contact; drive technology due diligence (Buy, Build, Partner Decisions) for your service to drive profitable growth. Act as a primary change agent internally for the service; act as a key external representative for the service. Actively lead, coach, support and motivate Team Leads through regular 1:1s, department meetings, performance reviews and other meetings so they can properly support their teams and grow and develop as leaders. Work with Team Leads to drive successful hiring, engagement, retention, investment and growth in the team’s talent. Conduct regular skip level meetings and check in with individual contributors; leverage insights and discussions to drive needed changes to grow the service and improve and develop team. Maintain a “pulse” of processes and service activities (audits, workflows, strategies, techniques, use of technology, etc.) to improve efficiency, profitability and both the employee and client experience. 5+ years of agency/consulting/ecommerce/brand experience. 2+ years of management experience with at least two direct reports (preferably, this will represent a candidate’s most recent work experience). Expertise within Paid Search including direct experience in the development of paid search strategies and execution of tactics. Strong presentation skills with experience presenting to both internal and external audiences. Growth mindset and a passion for learning technology and keeping up with trends at both a macro and micro level. Ability to travel 10-20% of the time. – Please do not respond to this inquiry unless you live in the Raleigh, NC (Triangle) area or are already preparing to move to the Raleigh, NC (Triangle) area within the next two to three weeks. – This job description reflects the current assignment of essential functions; it does not prescribe or restrict the tasks that may be assigned, and may be revised, at any time, as business needs warrant. Important note: if your resume does not include degree conferred and detailed compensation history for each position held be sure to add those to your resume prior to submitting your information.